Step 1 Preheat oven to 400°F. Coat a large baking sheet with cooking spray. Step 2 Whisk eggs, salt and pepper together in a large bowl. Add zucchini, cheese and flour; stir to combine. Spread the mixture into an approximately 8-by-10-inch rectangle on the prepared baking sheet. Bake until golden brown on top and bottom, 20 to 25 minutes. Let cool slightly before cutting into 16 rectangles. Serve with marinara sauce or pico de gallo, if desired. 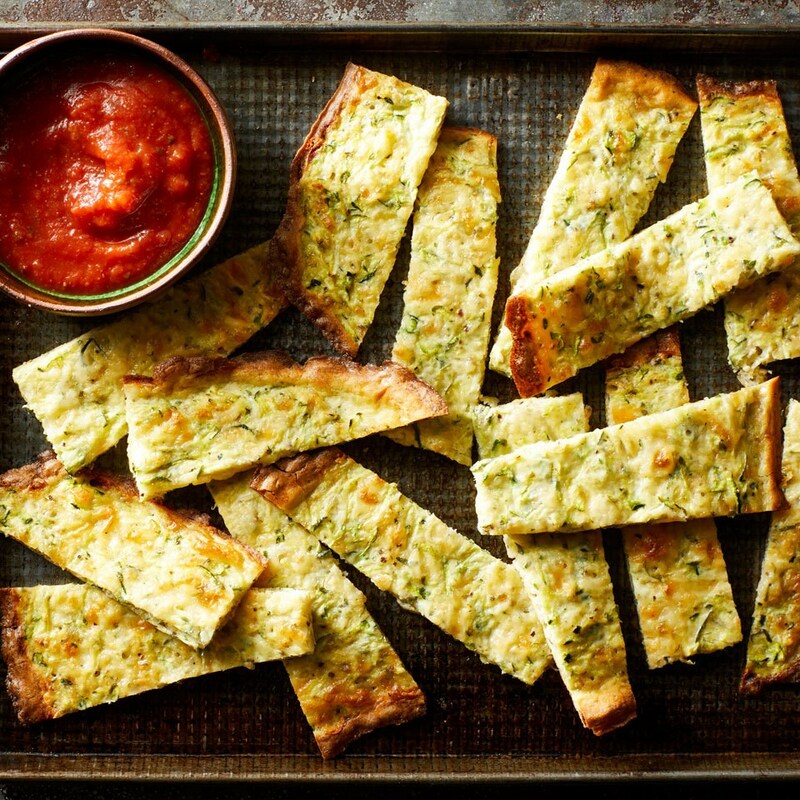 Shredded zucchini, eggs and cheese combine in this easy recipe for low-carb cheesy breadsticks like you would get from the pizzeria, but healthier! Dip this gluten-free appetizer in marinara or pico de gallo for even more flavor.